His first non-academic works were in ink inspired by the post-war industrial world: an urgent call for an ecological, ethical way to re-inspire society. The treatment was hard, the atmosphere bleak but with a perspective suggesting in each work a possible escape from the drear. JCB played with cartoon and satire as a career, but loyalty towards his young family led him towards the teaching profession. 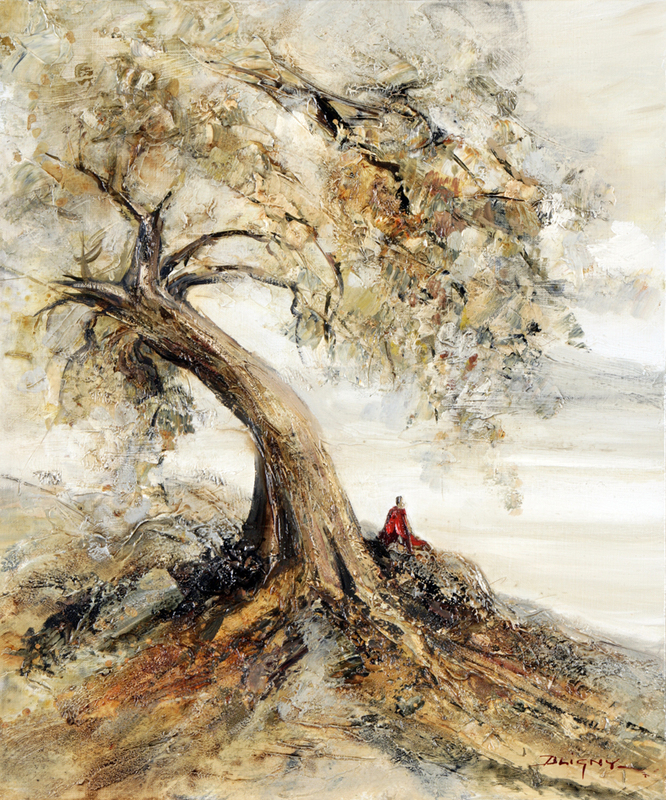 After his studies in Paris and a stay in Provence, JCB retreated to his native Burgundy where he leaned towards studies of ascetics and found a bond with nature: he painted watercolours charged with the sepia & grey moods of the Morvan, the hidden colours of the earth, the forgotten hills seen only by the sky. Then came a third period where he began painting in oil. Passionate about spirituality and religion, persuaded that there are many different approaches towards the same reality, he painted Roman & Himalayan architecture and the sages in contemplation, but overall he searched deeply for the means to express the interior experience of his profound beliefs. He found it’s expression inscribed in the nature that he worked tirelessly to represent, meditating daily and transforming work into ritual. 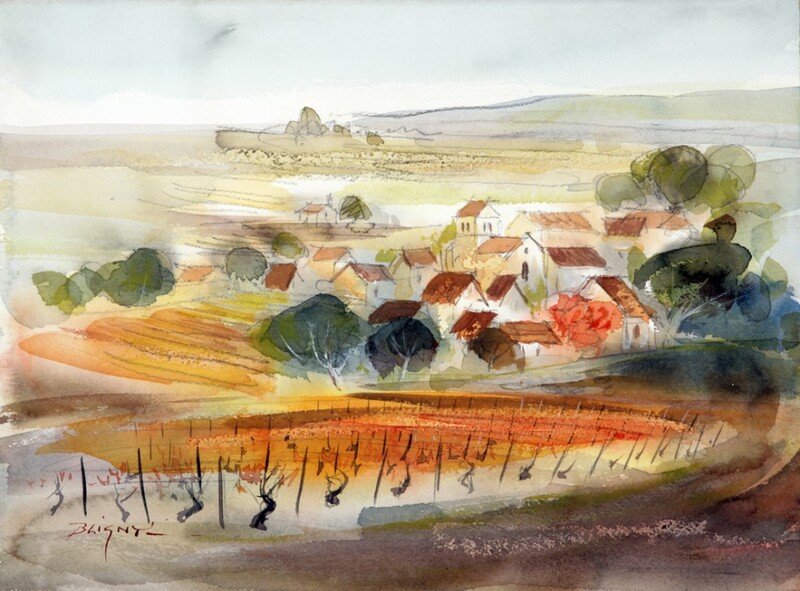 Landscapes of vineyards, exuberant bouquets, luminous Provences and sober seascapes were the preferred subjects by which JCB searched to transmit the vigour and the balance that he continues to perceive living in nature and interacting with the surrounding world. Invited to travel west, Jean-Claude Bligny discovered in 2014 a so-far inexpected aspect of cities: peace and light dwell unsuspected in the heart of their nights. 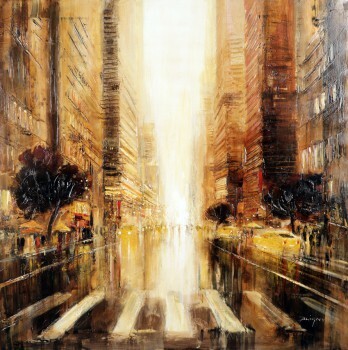 The painter undertook an urban pilgrimage in search of that perception of rare moments in city life: silence on the deserted stage of business and urgency, light breathing though coloured streets, sharp vertical rhythms sailing on fluid haze after the rain. 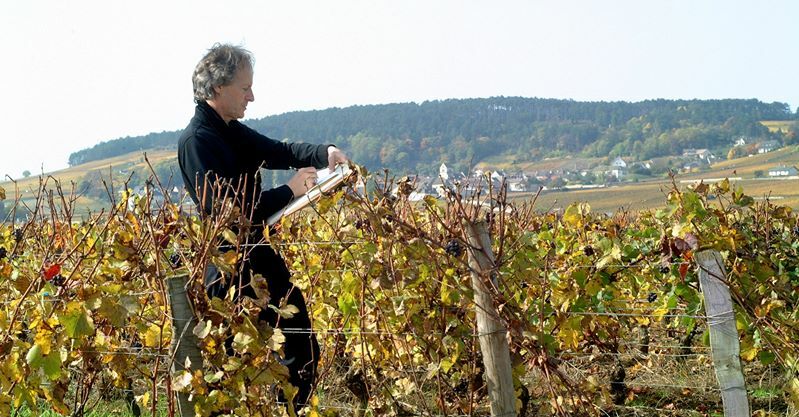 JCB was born in Burgundy in the Saône & Loire region. Top-student at the Ecole Normale in Macon from 1964 to 1967, he studied simultaneously at the Fine Arts school there in Macon. In 1967 he went to Nice to study under the direction of Fontanarosa, Brayer, Belmondo & Carzou. 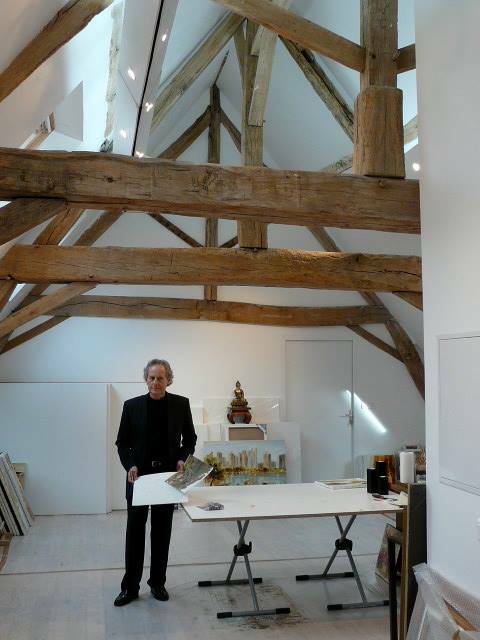 In 1968, he became full-time student at the Fine Arts School in Macon before starting in 1969 his studies at ‘Claude Bernard’ the Ecole Normale Supériure d’Arts Plastiques in Paris. There he specialised in Anatomy, Perspective, Decoration & History of Art. At the same time he also designed material samples for Lanvin, Dior & Cacharel. 1972: History of Art at the Sorbonne. 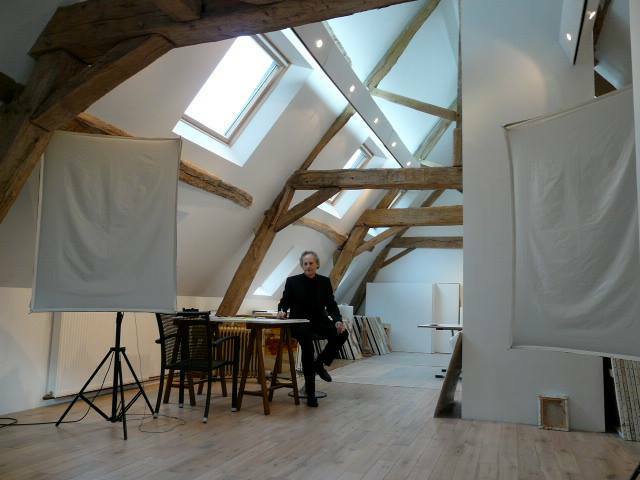 Sketch workshops at the Ecole Supérieure des Beaux Arts in Paris then he achieved the Capes d’Arts Plastiques in 1973. In 1974 he moved to Montelimar to take up the post of Art Teacher at the Lycée. During this time he met some French Buddhists who were looking for a site to set up a Tibetan Monastery. He suggested that they directed their search towards the Saône & Loire where Kalou Rimpoche, a great Tibetan Lama, set up the Kaguy Ling congregation at La Boulaye, a peaceful hamlet near Toulon-sur-Arroux. JCB followed and moved into the area with the purchase and setting up of his studio ‘Le Bateau Ivre’ at neighbouring St Eugène, another peaceful hamlet. 1977: the Cultural Centre Pablo Nuruda in Epinac. 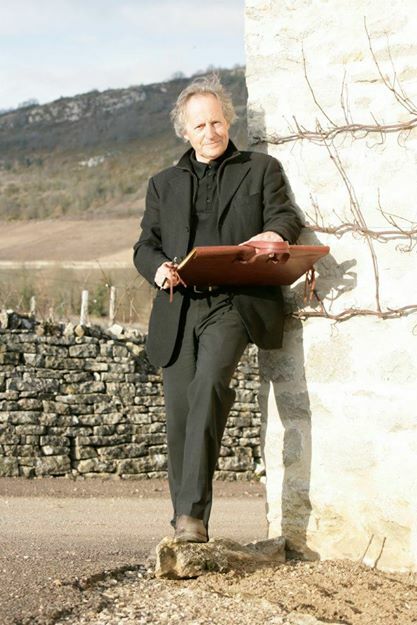 1978: at the gallery in Châteauneuf, which was presided over by the famous Burgundian writer Henri Vincenot. 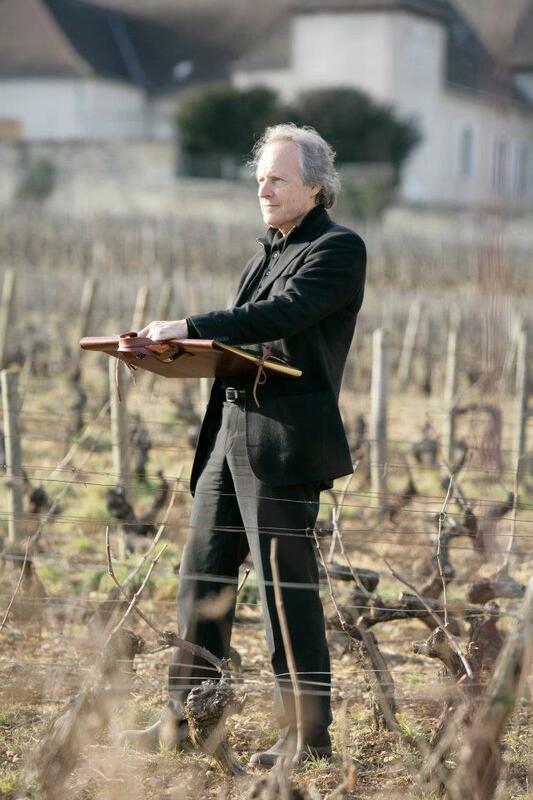 In 1983 he participated in the creation of the ‘Galerie Songe’ in Montceau-les-Mines, Saône & Loire with Nicole Sogno. Exhibiton with the illustrators Lemoine and Claverie. External exhibitions continued with group exhibitions: at Cluny at the Ecuries de St Hugues. 1984: The Buddhist Temple at Kagu Ling with Carzou, Laporte, Durrell and the photographer Cartier-Bresson. 1985: Avignon and in Paris at the gallery Peinture Fraîche with Nicole Sogno. 1986: Kagu Ling with Dusseau and MacAvoy. 1988: Paris – an exhibition organised by the Reader’s Digest, presided over by Simone Veil. 1989: The Autumn Salon at the Grand Palais. Personal exhibitions were at the Lutrin Gallery in Autun and in Bourg-en-Bresse in 1986; Gallery Val-de-Saône in Tournus in 1987; Couches in 1988; Galerie Lamartine in Chalon-sur-Saône. Savigny-les-Beaune at the Château there and at its Cultural Centre. In 1987 he created the décor and costumes for the amateur theatre company Golmus for ‘La Moschetta’ and ‘Les Pépins de Clafoutis’. Then he designed the décor for ‘Don Quixote’ and ‘Midsummer’s Night Dream’ in 1990. 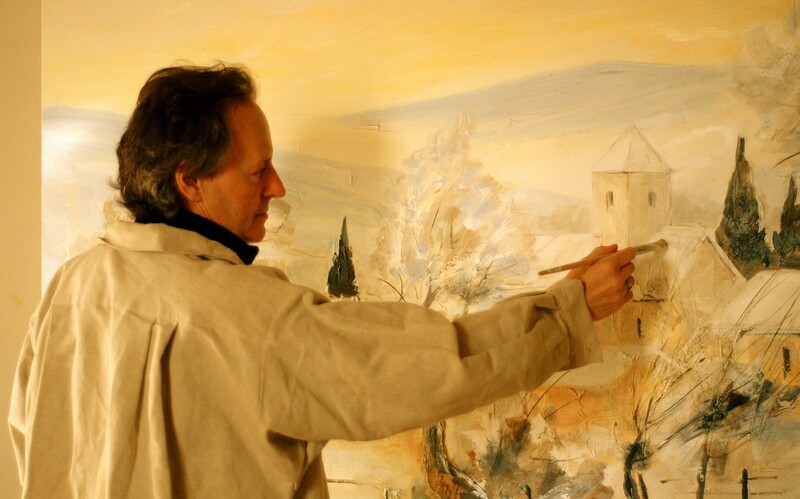 In 1988 he won the Young French Painter Grand Prix. The Yvon Gattaz Fondation acquired a painting. 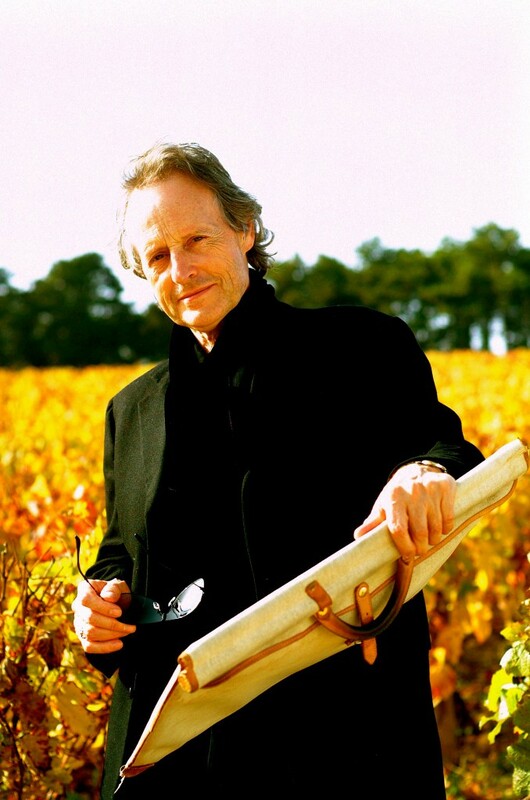 Then in 1990 he won the First Prize in the Grand Prix de France des Arts Plastiques. Also he won the Silver Medal at the Académie Internationale de Lutèce. The Galerie Songe evolved and became a permanent window on his new creations. Both French and foreign gallery owners and other dealers made contact with him to exhibit his works in their own galleries. 1990: Autumn Salon at the Grand Palais in Paris. 1992: “Un siècle de création lithographique en France” at the Atelier Mourlot along with Buffet, Brasilier, Cathelin, Jansem, Manessier, Mühl, Matisse, Chagall, Picasso and Braque. 1992: Galerie Dazy in Auxerre with Hilaire. 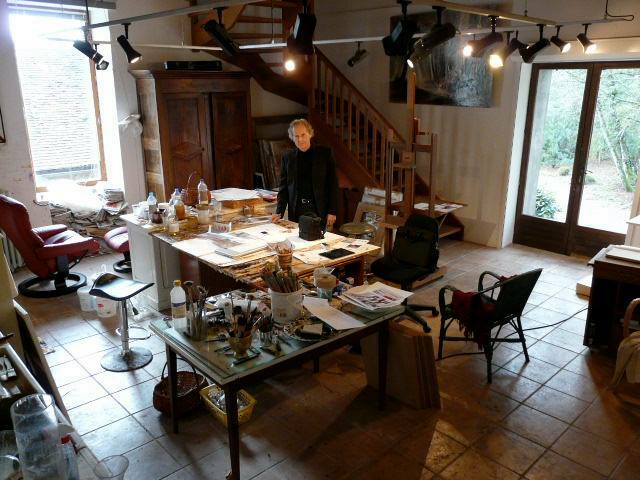 1993: A very busy year with many exhibitions: Galerie Dazy in Dijon with Blanc-Brude; Demonstration of lithography and engraving; Group exhibition with Tobiasse, Weisbuch, Toffoli and Brayer; “Peinture & Poésie” at Karma Ling near Chambéry with the writer Sylvie Fabre as part of the festival “Art & Spiritualité”; Galerie de Pharo in Marseille; Guest of Honour at the 41st Salon d’Autumne de l’Atelier de Beaune. 1994: Galerie Chabanian Le Baron in Bastia with Laporte and d’Izarny; International Art Fair in Geneva. 1996 & 1997: International Art Fair in Geneva. From 1992: Travelling exhibition circulating in the United States and in Europe. 1995: Galerie Chabanian Le Baron in the Isle of Reunion; Bhutan; Germany. 1997, 1998 & 1999: again at the Galerie Océane in the Isle of Reunion. 1999: European Gallery in Boston, United States. Elsewhere he signed posters and front covers: for the show “Le Lac”; at the bicentenary of Lamartine in 1990; “L’Ete Bleu” 1991. 1992: He was the subject of “La Forme du Vide” a film by Eric Nivot. Also in 1992 an 8m by 3m mural was commisioned for the Chapelle des Ursulines in Autun, presented by the historian Canon Denis Grivot. This was added to six years later by other large paintings on the theme of peace and unity between the religious traditions. 1993: Leader of the course “Peinture & Méditation” at Kagu Ling; a number of visits to Provence following in the footsteps of Cézanne at Aix-en-Provence and Digne; Paintings of lavender fields in Valensol and Banon. 1994: Creation of ceramics in collaboration with the Atelier Azulejo in Digoin. 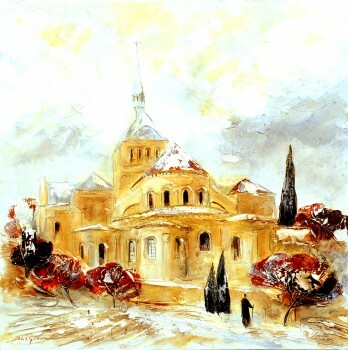 First book of his works was published by Chabanian/Art Print. 1997: First appearance in the annual reference Akoun; Study and painting trip to Tibet. 1998: Second book of his works published by J-P Barthélemy at S.P.E. in Paris; Prize from the European Foundation; Prize from the Fédération Nationale de la Culture Française. 1990: Macon; Galerie Songe in Montceau-les-Mines; Galerie du Lutrin and the Hotel des Ursulines in Autun; “La Peinture dans l’Autoc’ Art” Cluny. 1991: Galerie Impression and the Galerie Hautecoeur in Paris; Cluny; Kagu Ling; Galerie Barthélémy in Besançon; Galerie Dazy in Tournus. 1992: Galerie Lamartine in Chalon-sur-Saône; Galerie du Lutrin and the Hotel des Ursulines in Autun; Galerie Dazy in Dijon and in Beaune. 1993: Kagu Ling – in the presence of the Minister of Bhutan, Benjé Kempo Rimpotché and the President of the Association France-Bhoutan, Robert Dompnier; Galeries Chabanian Du Baron in Annecy, Val d’Isère, Megève ans Courchevel; Epinac. 1994: Digoin; Galerie Barthélémy in Besançon; Château de Saint-Amand near Cosne-sur-Loire; Abbaye de Chirens near Grenoble; Lucy in the Nièvre. 1995: Galerie Marbach at Mulhouse; Kagu Ling. 1996: Galerie Le Chevalet d’Eon in Salon de Provence; Summer exhibition at Uzès; Uchon in Burgundy; Galerie Marbach at Mulhouse. 1997: Galerie des Ducs in Beaune; Galerie Le Chevalet d’Eon in Salon de Provence; Galerie d’Art du Château de la Verrerie in Le Creusot; Exhibition at the business ‘Boiron’ in Lyon; Galerie Chabanian-le-Baron in Honfleur; Galerie l’Art du Cadre in Tournus; Created his Virtual Gallery on the internet; Galerie du Chapitre in Autun; Galerie Raugraff in Nancy; Galerie Victor Hugo in Saintes. 1998: Galerie du Chapitre in Autun; Galerie Raugraff in Nancy; Galerie Victor Hugo in Saintes; Galerie Chabanian-le-Baron in Annecy; Galerie Epreuve d’Artiste in La Baule; Galerie Daudet near Toulouse; Galerie Barthélémy at Besançon. 1999: Château de la Bertrandière near St. Etienne; Le Breuil; Galerie Le Chevalet d’Eon in Salon de Provence. The following years were marked by a deepening interest in his preferred painting themes: Flowers & Bouquets, Burgundy, Brittany and Provence. He discovered the beauty and light of Venice. He also travelled widely exploring the East by making several trips to Tibet, India, Nepal and he visited Boutan for the second time in 2000. His fame was confirmed and so spread to other countries where his followers there bought his work during their trips to France and had the paintings shipped back home. 2003: Exhibition in the USA. 2004: ‘Festival d’Art Contemporain Franco-Japonais’ in Cannes. In 2009 JCB started working with the prestigious ‘Les Emaux de Longwy’ to create a new collection of decorative porcelaine with the theme ‘Chemin de Lumière en Bourgogne’. This was followed in 2010 by a new collection entitles ‘Bouquets d’Eternité’. Château Landon in 2000, Joël Dupuis in Le Touquet, 2001 and in Hardelot 2000, 2004, 2006, 2008, 2010, 2011, 2012, 2014. Vent des Cimes in Grenoble. 2000, 2003, 2005, 2009. Le Biblion, in Toulouse, 2001. Victor Hugo, in Saintes, every xecond year from 2001 to 2016 and in Sarlat, Church of Marcillac in 2003 and 2006. Chabanian, in Annecy, 2001, 2002, 2003. Laure Le Baron. in Saint Paul de Vence 2001, 2002, 2003. Marbach, in Mulhouse, 2002. Marciano, in Saint Mandé 2001, in Barbizon, 2001, 2002, à Paris 2002, 2003, 2008, 2015, à La Baule every year from 2002 to 2010, in Honfleur, 2002, 2003. Galerie Cimaise, in Besançon and Fabien Mathieu, in Toulouse in 2003. Le Chevalet d’Eon in Salon de Provence, 2003, 2005, 2009, 2012. Galerie Chabanian-Perbet in Annecy with the CIC on the theme « Lac d’Annecy », 2005. Le Château de la Bertrandière in l’Etrat near St Etienne in 2006, 2011 and 2015. Galerie Raugraff, in Nancy, every second year from 2001 to 2016. 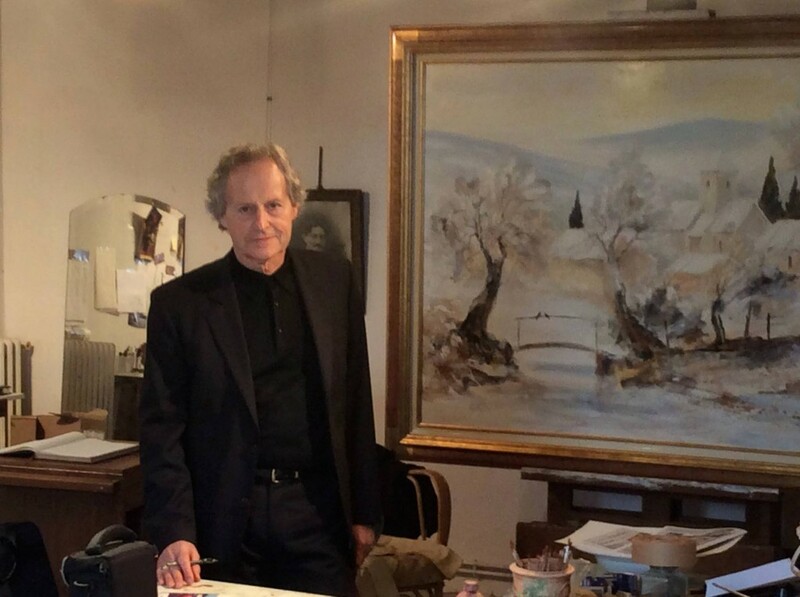 Other new galleries have exhibited his work among which are the ‘Galerie Wilson’ in Dijon; ‘Galerie Terre de Contraste’ in Dinard; ‘Château de Santenay’; ‘Galerie Graal’ and ‘Galerie BO’ in Clermont-Ferrand; ‘Galerie Art Sud, Marie Joulia’ in Espalion where he was guest of honour. In April 2010 several canvases were placed in the ‘Espace Muséographique de Bernicourt’ at Roost-Warendin, part of the Ruckehusch collection. 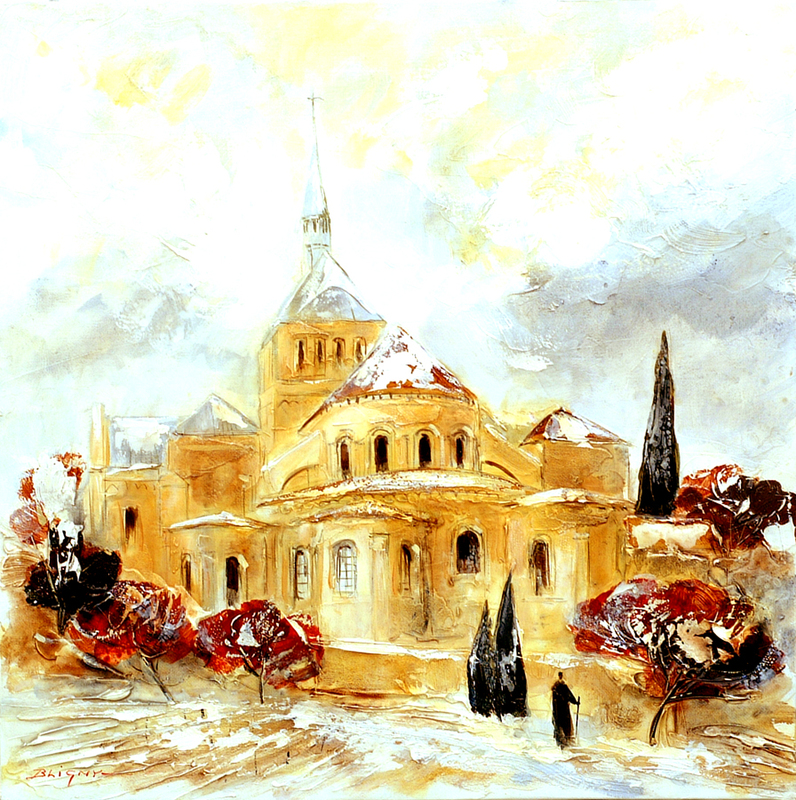 In 2011 his work was exhibited in Beyrouth by the ‘Fine Art Gallery of Geneva’. The national museum ‘Prieuré de Charolles’ held a retrospective dedicated to JCB during the Summer of 2013 and acquired one of his paintings. Of special mention in 2013 is JCB’s own gallery, the ‘Galerie Songe’ in Montceau-les-Mines which celebrated its 30th anniversary with a noteworthy exhibition in the Summer as well as the annual end-of-year exhibition. 2014 is a turning point towards a new period: an exploration of city lights, shining life in the midst of darkness and hard shapes. In 2017, he is honor guest at the international Salon d’Automne de Lunéville and a new book is published by Editions du Léaopard d’Or.